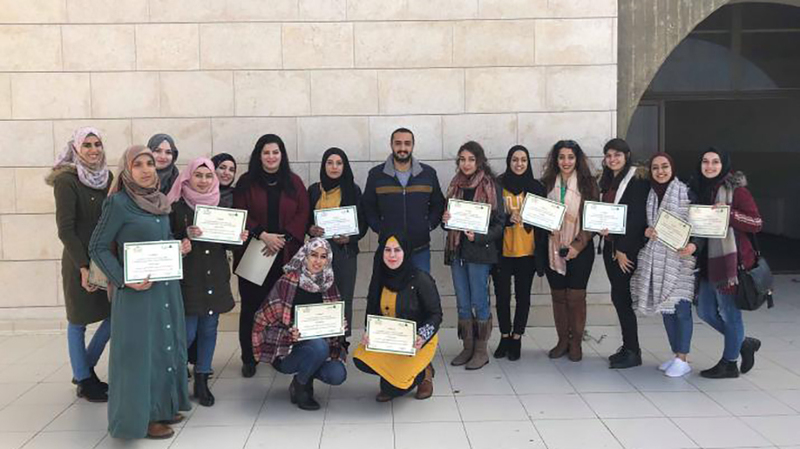 Public administration students learned workplace and business ethics and essential job-hunting skills in two courses organized by the Department of Public Administration at Birzeit University together with INJAZ Palestine. The two courses, which lasted for two months each, were entitled “Workplace Ethics” and “How to Start,” respectively. “Workplace Ethics” introduced students to concepts and skills in business ethics and included analysis and discussions on several real-world case studies. In the second course, the students explored the best ways of finding employment opportunities in their relevant fields both in Palestine and abroad and learned how to write résumés that highlight their strengths and eagerness to learn. These courses are part of the Department of Public Administration’s continued efforts to connect students with the Palestinian job market and ready them for life after graduation.